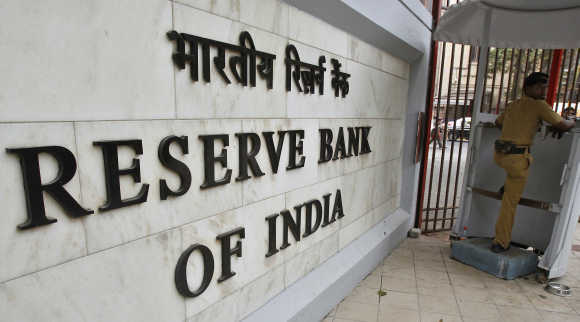 The Reserve Bank of India will share foreign direct investment-related information with country's intelligence agencies -- IB and RAW -- to check black money from entering the country. The decision was taken during a recent meeting of a government group, headed by Revenue Secretary, to check economic crimes. The move comes after Cabinet Secretariat -- under whose administrative control Research and Analysis Wing functions -- expressed concern over companies in tax havens investing in the country, official sources said. Emphasising on the need to keep a track of such companies' source of funding, the Cabinet Secretariat suggested that Central Economic Intelligence Bureau under the Finance Ministry should maintain a database of such entities and investments, a move which was later rejected, they said. During the meeting of ‘Working Group on Intelligence Apparatus’, representatives of Intelligence Bureau felt that it is important to have the information. The FDI comes either through automatic route (which gets recorded by RBI) or through Foreign Investment Promotion Board -- an inter-ministerial body under the Department of Economic Affairs, which is responsible for processing of FDI proposals and making recommendations for government approval. "Even after FIPB has approved a FDI proposal, concerned government agencies will not know whether the investment has actually come into India. The only organisation which will know when the investment actually comes into the country is RBI. "Hence, it was felt that they should form a database on it and share details with both IB and RAW," said a senior official in the Cabinet Secretariat, requesting anonymity. The RBI has also been asked to consider displaying this information on its website, he said. Foreigners who bring FDI may also get long-term visa or residency permit as the option is being explored by the government to make travel easy for businessmen as part of its 'Make In India' campaign, the official said. In 2016-17 budget, Finance Minister Arun Jaitley has announced 100 per cent FDI through government approval route in the marketing of food products produced and manufactured in India. FDI flows into India nearly doubled in 2015 to $59 billion, according to a report of United Nations Conference on Trade and Development. Foreign Direct Investment is important for the country as it needs around $1 trillion worth investments between 2012-13 and 2016-17, the 12th Five Year Plan period, to fund infrastructure growth covering sectors such as ports, airports and highways.